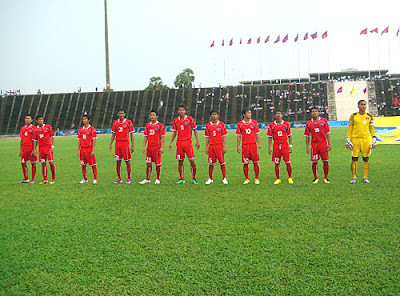 This afternoon the Cambodian national team fly out to Vientiane to prepare for the 2nd leg of their 2014 FIFA World Cup 1st round qualifying double-header against Laos. 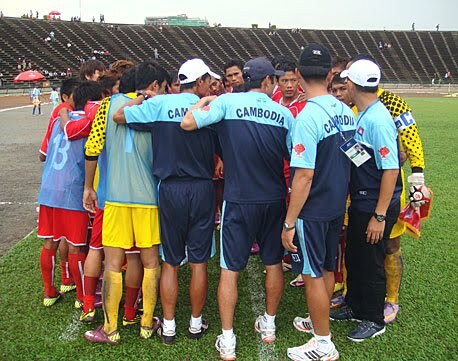 The ultra-friendly Lao team went to sleep in the 2nd half of last Wednesday's match and allowed Cambodia to take a 4-2 win into the second leg to be played on Sunday. 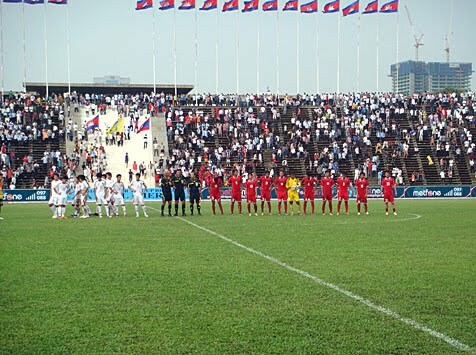 Those two goals that Laos did score, two superb free-kicks, might come back to haunt Cambodia if Laos get a headstart in front of their own baying fans in the return match. 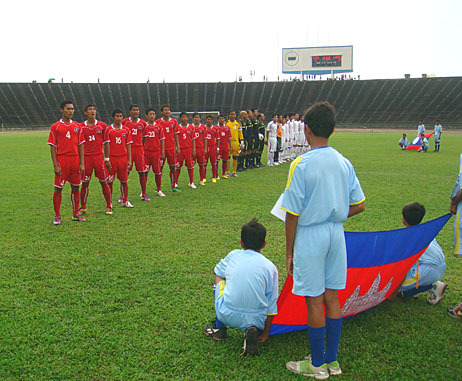 Away goals count double in the event of tied scores. 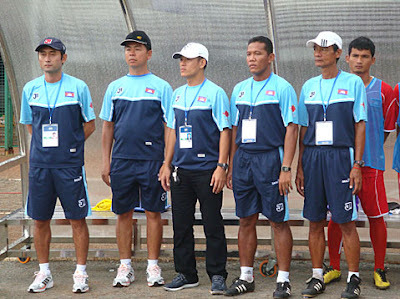 It will be a tough place to go as Cambodia experienced in the SEA Games in 2009. 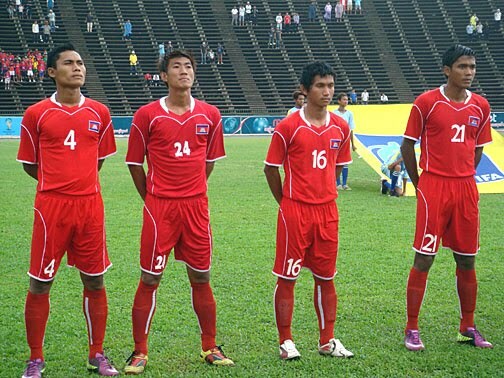 However, Cambodia's record against Laos in full internationals in recent times is pretty good. 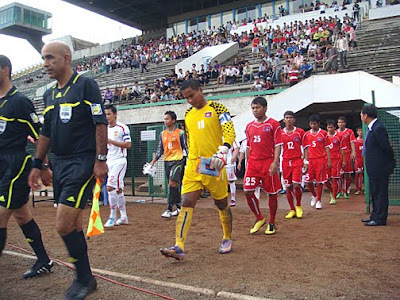 There's the 4-2 last week for starters and then the last time the two teams met in Vientiane, in October last year in the Suzuki Cup, the teams fought out a goal-less draw. 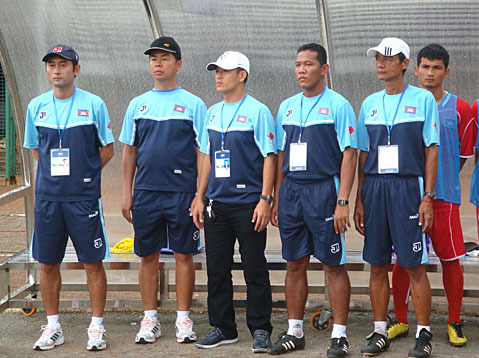 Back in 2008 Cambodia recorded another success, 3-2 at home, again in the Suzuki Cup. 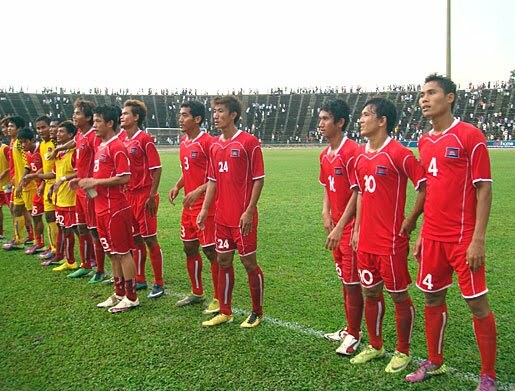 So the omens may favour Cambodia, who lie two places above Laos in the FIFA rankings as well. Traditionally however, Cambodia are not very successful on their travels, it's often a trait for Cambodian sportsmen when travelling outside the boundaries of their own country, and is something they need to overcome if they want to meet China in the 2nd qualifying round. That carrot is big enough for the Cambodians to bust a gut to qualify, as they did in the 2nd half last Wednesday, when the large crowd at the Olympic Stadium really got behind their team and roared them to victory. 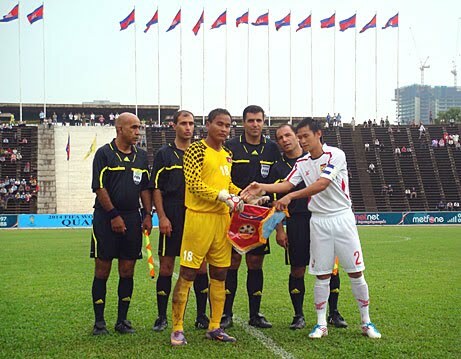 Kouch Sokumpheak will be a big player again for Cambodia, with his experience and the two displays he's put into the last two serious matches for the national team showing what an important asset he is to the side. Skipper Ouk Mic will have to forget the devastating free-kick he conceded in the 1st half last Wednesday and Cambodia will need to mind their tackles anywhere near the edge of the box, to prevent Manolom Phomsouvanhn having a crack at goal. We've already seen the damage he can do. It's sure to be a tight game and if coach Lee Tae-Hoon starts with Lay Raksmey and Sam El Nasa instead of Touch Pancharong and Tum Saray, then Cambodia will have an even better chance of success. 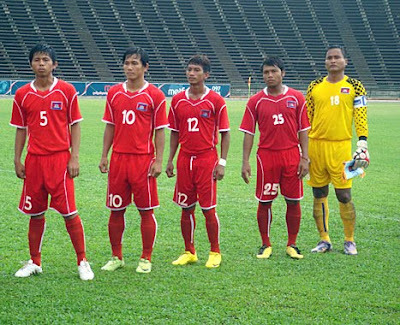 Here are some more pictures from the 4-2 first leg success. Monalisa Chinda: I could've been butchered! Any Lesbian Celebrities In Nigeria? Crossing Cambodia Border @ Poi Pet. Is Life Fair to Everyone?